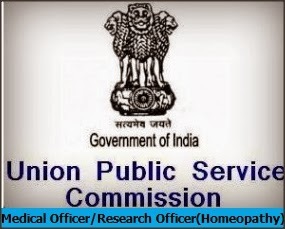 Ministry/Administration : Ministry of Health & Family Welfare Department/Office : Department of AYUSH Organisation: Other Number of Posts and Reservation: UR-13 OBC-8 SC-4 ST-2 PH-1 Total 27 Pay Scale Rs. 15,600-39,100 ( PB-3) plus Rs. 5,400 (Grade Pay) plus NPA as admissible. Total emoluments excluding T.A. and HRA at the time of initial appointment will be Rs. 34650/- p.m. approximately. Not exceeding 35 years as on normal closing date. Not exceeding 38 years for OBC candidates and not exceeding 40 years for SC/ST candidates on normal closing dates in respect of vacancies reserved for them. (Relaxable for Govt. servants by 5 years in accordance with instructions issued by the Central Govt.). For age concessions applicable to some other categories of applicant, please see relevant paras of the “Instructions and Additional Information to Candidates for Recruitment by Selection”. NOTE- For those incumbents holding the post of Research Assistant/Technical Assistant/Senior Technical Assistant/Assistant Research Officer on regular basis, the age limit will be “Not exceeding 50 years”. No further age relaxation shall be admissible. While applying Online, such of above candidates must avail age relaxation under Special Provision/Order given in Age Relaxation Module of ORA System by giving vacancy number and closing date as relevant Order No. and date in this respect. In case of any difficulty, you may contact ORA Cell, UPSC over phone (011-23098591 Ext. 4754) before closing date for receipt of online application. A. EDUCATIONAL Kindly note the Educational Qualifications for the post- (i) Degree in Homeopathy of recognized University/Statutory State Board/Council or equivalent recognized under the Homeopathic Central Council Act, 1973 (59 of 1973) (ii) Enrollment on the Central Register of Homeopathy or State Register of Homeopathy. travancore cochin central council registration- isit life time or time-based? IF time-based, how long is the duration? I hv registered in Travancore-Cochin medical council,tvm. Is it life time registration or time based? If time based, hw long is the duration?